The ion-exchanged whey protein in this product is the most bio-available for your body.This means your body can utilize the supplementation of American Whey better than other types of protein. 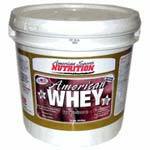 American Whey is also low in calories, tastes great, and mixes easily in juice, milk, or water. Whey supplier under fire for contamination and foul storage conditions. I was a user of this product for a few years now. I'll be looking for another supplier. Anyone know of a whey powder that doesn't use artificial flavors or sweeteners? The whey protein in deed tastes better than any other shake Ive had! However I noticed there isnt alot of Vitamines! I wish there was a bit less sodium and Carbohydrates as well. I've been using this product for about 9 months now and I love it!! I tried many others before discovering this one and this one is the best of all. I mix mine with powedered milk and then add 6 oz. water and 7 ice cubes. Blend it in a blender and it tastes just like a milk shake. Delicious!! I have the chocolate flavor. Mixes great with skim milk and taste even better. I enjoy taking my shakes. I take at least 2 most of the time 3 a day. I had just started using this whey protien, and i wasn't sure what it would taste like. Chalk is all that crossed my mind, but then POW! This stuff make you wanna drink it! 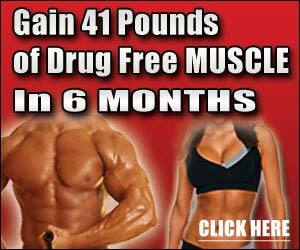 Plus with the body building I have done in just a little over 1 week, I can already see results. All I have to say is WOW. One of the best tasting protein powders I have had. This is a very inexpensive protein powder, plus it mixes easily in a shaker! You will not get any clumps. I have only tried the chocolate, but I have been extremely satisfied. I recommend mixing it with 8 oz of nonfat milk to enhance the taste.